it is always best to ask for advice. Your fitness goals are no exception. For many people, fitness goals are their greatest challenge. Thankfully, Rogue Tri Performance is here to help! 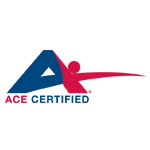 Whether you are looking to improve your fitness and overall health, run your first Marathon, qualify for Team USA, or you want to train for a Triathlon with Oregon’s USAT Certified Triathlon Coach – Rogue Tri Performance has got you covered. 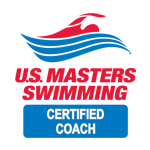 We believe that all people of all fitness levels can benefit from working with an experienced and highly-qualified coach. We are passionate about motivating others to set challenging goals and reach them! Regardless of what your goals are – fitness is a lifestyle and having an expert guide you through the transition from one level to the next is essential to success. Our job as your coach is to help you to set goals that are challenging but realistic. To help you navigate and overcome any obstacles that you run into. And, to provide education and support along your journey. When we work together, you will receive a training plan that is uniquely designed for you and your goals PLUS the support you need to realize those goals! I reached out to Michael at Rogue Tri Performance after completing my first 70.3 after using a cookie cutter plan I found online. Satisfied that I completed the race, I also knew with proper direction and knowledge there were many gains to be had for my second 70.3 four - months away. Michael custom built me a plan after consultation and performance testing. I explained my needs and Michael delivered. The plan was tailored to my precious time while building on every sport with endurance and speed. Any concerns or questions were answered quickly. With the plan being on Training Peaks, access and details were top notch. After a 16 week plan broken down into specific intensities and durations my second 70.3 in Santa Cruz had me blowing away all previous splits with PR's and finishing nearly 1hr 20min faster than my previous effort. While having a family and working a full time job I continue to train with Michael in my offseason and highly recommend them for anyone who wants to better themselves mentally and physically. I reached out to Michael at Rogue Tri Performance after completing my first 70.3 after using a cookie cutter plan I found online. Satisfied that I completed the race, I also knew with proper direction and knowledge there were many gains to be had for my second 70.3 four - months away. Michael custom built me a plan after consultation and performance testing. I explained my needs and Michael delivered. The plan was tailored to my precious time while building on every sport with endurance and speed. Any concerns or questions were answered quickly. With the plan being on Training Peaks, access and details were top notch. After a 16 week plan broken down into specific intensities and durations my second 70.3 in Santa Cruz had me blowing away all previous splits with PR's and finishing nearly 1hr 20min faster than my previous effort. While having a family and working a full time job I continue to train with Michael in my offseason and highly recommend them for anyone who wants to better themselves mentally and physically. 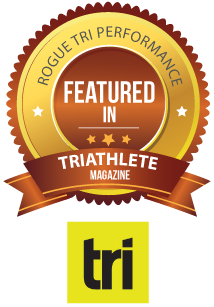 Rogue TRI Performance was my go-to place as I prepared for the ITU World's in Denmark this year. Michael Gallagher accepted the challenge to guide me through a process of preparation for two different multisport events at World's. He took this older age-grouper, Team USA member to a level of fitness that was beyond my personal expectations. Michael is a consummate pro who skillfully and individually prepared programs and monitored carefully my personal results. At times he helped me through difficult threshold levels by adjusting my workouts with great sensitivity and expertise. I could not be happier or more impressed with Michael and Rogue TRI Performance. Ben Brown - Oregon, Team USA Triathlete. Rogue TRI Performance was my go-to place as I prepared for the ITU World's in Denmark this year. Michael Gallagher accepted the challenge to guide me through a process of preparation for two different multisport events at World's. He took this older age-grouper, Team USA member to a level of fitness that was beyond my personal expectations. Michael is a consummate pro who skillfully and individually prepared programs and monitored carefully my personal results. At times he helped me through difficult threshold levels by adjusting my workouts with great sensitivity and expertise. I could not be happier or more impressed with Michael and Rogue TRI Performance. Michael at Rogue TRI Performance has done wonders for my running. Before I found Rogue TRI Performance I was training for a marathon using one of the “online” training plans. My marathon ended up being mostly walking and cramping at the end. Not exactly how I want to remember it. I did some researching and found Rogue TRI Performance, and decided to give them a try. The training Michael has put me though has been amazing. My weekly workouts are specific, detailed and built around my training hours. His consistent communication has helped me through the highs and lows of training along with understanding why we are doing a certain workout. By following his schedule I have set significant PR's in the distances I have raced. I am a healthier runner and Michaels advice and expertise in coaching has helped keep away injuries that would have likely derailed my training. Most importantly I have gained the confidence to be competitive in the distances I race. Michael takes coaching very serious and it shows in every detail. I highly recommend giving Rogue TRI Performance a try for your training needs!! Michael at Rogue TRI Performance has done wonders for my running. Before I found Rogue TRI Performance I was training for a marathon using one of the “online” training plans. My marathon ended up being mostly walking and cramping at the end. Not exactly how I want to remember it. I did some researching and found Rogue TRI Performance, and decided to give them a try. The training Michael has put me though has been amazing. My weekly workouts are specific, detailed and built around my training hours. His consistent communication has helped me through the highs and lows of training along with understanding why we are doing a certain workout. By following his schedule I have set significant PR's in the distances I have raced. 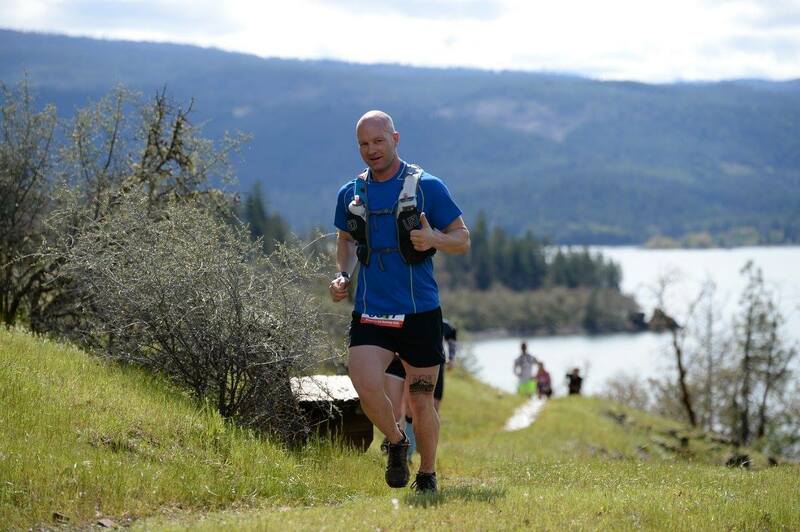 I am a healthier runner and Michaels advice and expertise in coaching has helped keep away injuries that would have likely derailed my training. Most importantly I have gained the confidence to be competitive in the distances I race. Michael takes coaching very serious and it shows in every detail. I highly recommend giving Rogue TRI Performance a try for your training needs!! 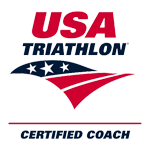 “Coach Michael at Rogue TRI Performance developed a triathlon training plan for me that was realistic for my life and professional commitments. My plan was developed for my current ability, future goals, individual strengths and weaknesses and even my periodic injuries. The plan was aggressive compared to my other “free online” plans but I have never progressed as much as I did with coach Michael. Michael has helped me gain the confidence of feeling like an athlete. In a short time, my times have improved tremendously. I am more efficient in my swim, I am stronger on my bike, and faster on my runs. When I was down in the dumps three years ago, I stumbled upon the ironman video anything is possible. It changed everything. I immediately signed up for a half. I didn't train at all because I thought how hard could it be? I failed miserably in the first few seconds. I thought, I'm not giving up until I do this so signed up again. I took swim lessons at the YMCA. Again I failed. I signed up for a third time and trained a little harder on my own and still came up short. I signed up a fourth time, but found out after it was a full ironman. I realized I couldn't do it on my own. I got help through Michael's Rogue Tri Performance. He guided me through the swim and worked to build my confidence and strength in the water. He taught me how to ride my bike based on heart rate and thresholds. And finally he helped me run further and faster than I ever had. When race day came, the jitters were gone because at this point Michael had put me through 80 miles in the water, 2000 miles on the bike, and 700 miles on the run, what was another 140.6 miles? He gave me the confidence, the strength, and the endurance to make my dreams come true. A few days before I reached out to him I had already signed up for another full because I had such confidence that he would get me to where I wanted to go. Thank you Rogue Tri Performance! When I was down in the dumps three years ago, I stumbled upon the ironman video anything is possible. It changed everything. I immediately signed up for a half. I didn't train at all because I thought how hard could it be? I failed miserably in the first few seconds. I thought, I'm not giving up until I do this so signed up again. I took swim lessons at the YMCA. Again I failed. I signed up for a third time and trained a little harder on my own and still came up short. I signed up a fourth time, but found out after it was a full ironman. I realized I couldn't do it on my own. I got help through Michael's Rogue Tri Performance. He guided me through the swim and worked to build my confidence and strength in the water. He taught me how to ride my bike based on heart rate and thresholds. And finally he helped me run further and faster than I ever had. When race day came, the jitters were gone because at this point Michael had put me through 80 miles in the water, 2000 miles on the bike, and 700 miles on the run, what was another 140.6 miles? He gave me the confidence, the strength, and the endurance to make my dreams come true. A few days before I reached out to him I had already signed up for another full because I had such confidence that he would get me to where I wanted to go. Thank you Rogue Tri Performance! I began working with Michael a couple of months ago and am impressed with my progress with his help. He always keeps me guessing on the workouts and seems to know when to push it and when to pull back the intensity to avoid burnout. His knowledge of technique is evident and I feel safe that I won't repeat old solo training mistakes that have lead to unnecessary injuries in the past. I'd highly recommend a collaboration with Michael. I have done several triathlons on my own without any formal coaching. My results were average, however I knew I would need more than a random online training plan to finish my first Half-Ironman (70.3). I meet Michael at a triathlon event where his company Rogue TRI Performance was a sponsor. We talked for a while and he laid out a plan which would help me finish my first 70.3. Michael created a personalized plan which fit with my work and life commitments, he answered all my training questions, provided the motivation I needed and keep things exciting with the weekly calls. I have progressed more in all 3 sports than I ever thought I would. Michael’s knowledge in triathlon and strength training really makes him a great coach and I know that having him coach me through his online training plans were key to me being able to finish my first 70.3. I have done several triathlons on my own without any formal coaching. My results were average, however I knew I would need more than a random online training plan to finish my first Half-Ironman (70.3). I meet Michael at a triathlon event where his company Rogue TRI Performance was a sponsor. We talked for a while and he laid out a plan which would help me finish my first 70.3. Michael created a personalized plan which fit with my work and life commitments, he answered all my training questions, provided the motivation I needed and keep things exciting with the weekly calls. I have progressed more in all 3 sports than I ever thought I would. Michael’s knowledge in triathlon and strength training really makes him a great coach and I know that having him coach me through his online training plans were key to me being able to finish my first 70.3. Michael has been my coach for the past six months and he is an incredible coach. His understanding of all the physical and mental challenges that such a sport encompasses and his constant encouragement makes him the perfect fit for someone in such a role. Through his coaching I was able to achieve a higher level of fitness and move into an advance swim group which I was not able to achieve before. His workouts are well balanced and he is always willing to demonstrate as well as readily answer any questions. Michael Gallagher is a phenomenal asset to our team. © 2019 Rogue Tri Performance | Triathlon Training in Oregon.